Suzuki Motor (Thailand) has showcased a mildly modified version of the Suzuki Swift Sport at the ongoing 2019 Bangkok International Motor Show. 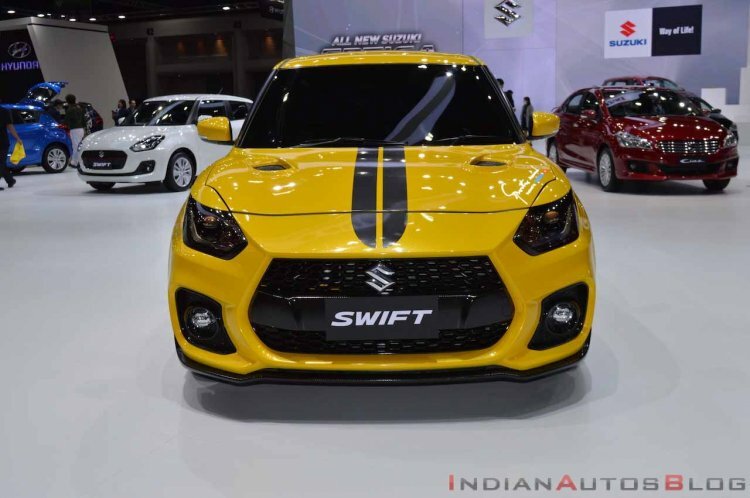 While the custom Suzuki Swift Sport at BIMS 2019 doesn't feature any radical update, its revised paint scheme and minor updates do lend it a sportier look. The custom Suzuki Swift Sport retains much of its original styling, including the sporty bumper with a prominent diffuser and the 'staggered' design for the honeycomb grille. The changes include body-coloured headlamp eyelashes, and dual racing stripes on the hood, which, itself, is a custom unit with twin air scoops. At first glance, updates to the profile seem to be restricted to the usage of body decals, but a close look reveals the custom front fenders that carry air scoops. The rear-end remains almost unchanged, with the only updated here coming in the form of custom tail lamps with a smoke-effect look. The interior too stays untouched and continues to offer an all-black colour theme with red trim. Powering the Suzuki Swift Sport is a K14C 1.4-litre Boosterjet petrol engine that produces a maximum power of 140 PS at 5,500 rpm and a peak torque of 230 Nm from 2,500-3,500 rpm. The turbo-petrol motor comes is available with two transmission options - 6-speed manual transmission and 6-speed automatic. The performance-focussed small car has an FWD layout. 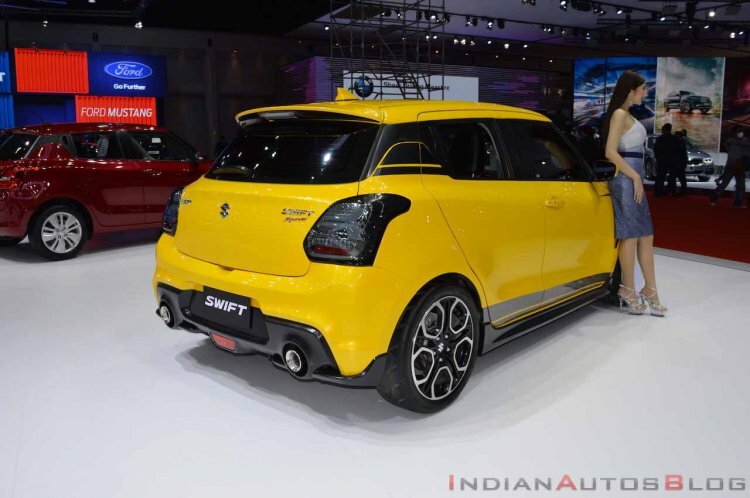 The interior and the specifications of this custom Suzuki Swift Sport have remained unchanged. The factory-spec model is powered by a K14C turbocharged petrol engine and features a sportier suspension. The Suzuki Swift Sport boasts performance-tuned Monroe shock absorbers and a bigger strut bar than what is offered on the regular version. Moreover, the wheel hub and wheel bearings have been made into a single unit, and the width between the bearings has been expanded. Therefore, the camber rigidity during cornering has benefitted from a 15 per cent increment. There's even a new torsion beam that offers a higher roll stiffness.